Women’s Pipeline for Change understands that progressive women of color leaders need support all along the way as they enter, navigate and move up the pipeline of public leadership. 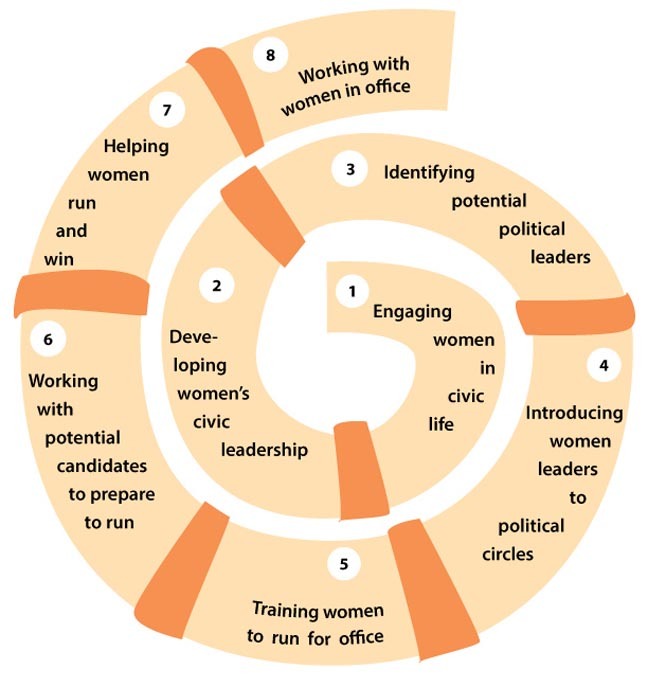 This illustration created by Women’s Pipeline for Change presents several leadership development stages along the pipeline of public leadership for women of color. However, we recognize not all women of color leaders enter the pipeline in the same way, nor do they need to move up the pipeline in a particular direction. The illustration helps us categorize the resources currently available to women of color leaders across the Commonwealth. We invite you to explore the resources listed in each stage and to contact us with suggestions for additional resources.